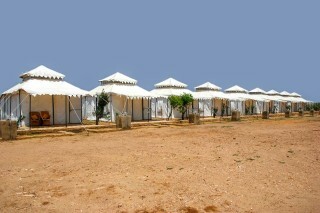 Located 38km from Jaisalmer at Sam, the tent property is surrounded by natural sand dunes, wilderness and tranquillity. 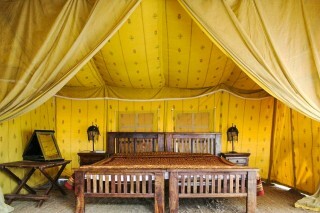 The room on offer can host up to three people and infinite nature enthusiasm! 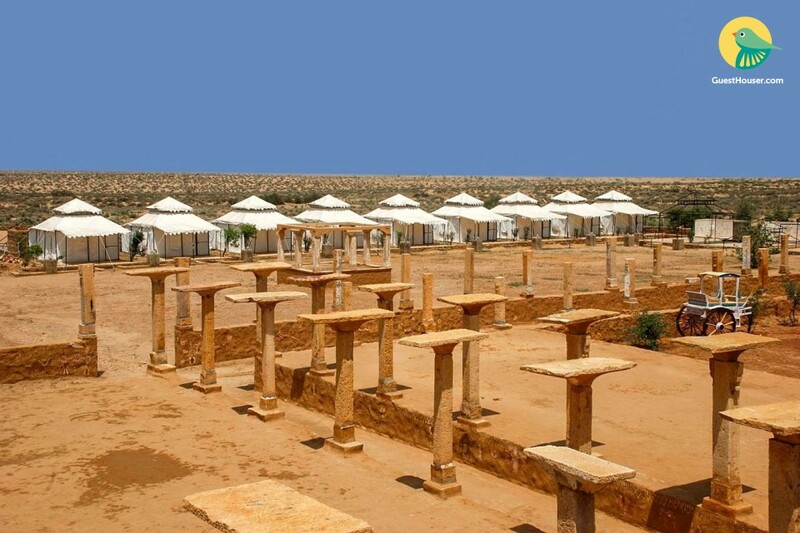 The property offers a spectacular visual retreat in the heart of the Thar Desert. 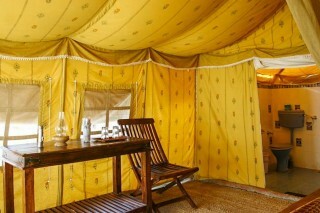 Decorated in a yellow-hue, the tent interiors give off a rather rustic vibe. 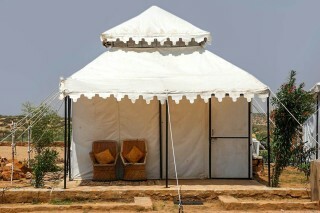 Amenities like a sit-out veranda, cold and hot water, coffee table seating are fitted in the tents. 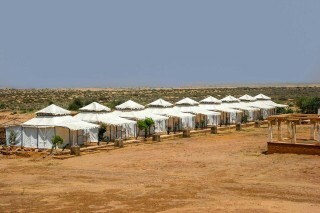 The tents are adorned with myriad trinkets like candles, lanterns and mashals. 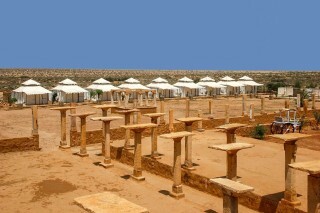 The en-suite bath is fitted with modern sanitary ware and is well-tiled.